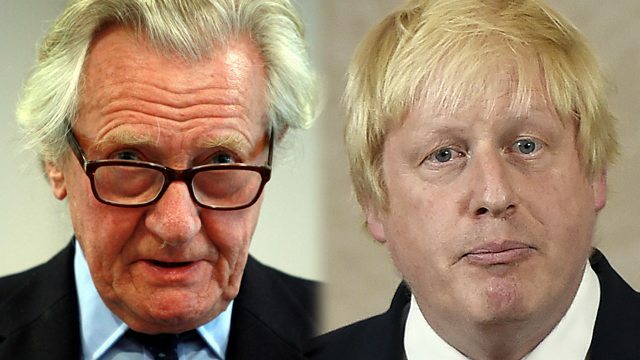 The Conservative grandee and former leadership contender Lord Heseltine has launched a scathing attack on Boris Johnson saying he has created the "greatest constitutional crisis in modern times" and added the former London mayor has "ripped the (Conservative) party apart". Mr Heseltine, a former Deputy Prime Minister, said there is now a "great gaping hole in the future of Britain's decisions makers" as well as investors from all over the world. Speaking to 5 live's Samantha Fenwick, Lord Heseltine said Boris Johnson was the one who "won the referendum" and added Mr Johnson had abandoned "any sense of responsibility for what he's done". This clip is originally from 5 live News on Thursday June 30 2016.